Registration for your horse begins with your Membership Application (download form) into KMSHA/SMHA. Non-members add an additional $35 surcharge per horse for any registration and certification fees. The Board of Directors of the KMSHA in a session during the first quarter of 2012 have agreed to now maintain a closed breed registry for registration and certification of gaited horses who meet the qualifications and standards of the breed. Mare books had been open for the past several years for registration of mares and the Directors have decided that it was time to reconsider the issue and close the books. Foundation Geldings with one KMSHA/SMHA parent or with a selected gaited horse parent who meet the KMSHA/SMHA Breed Standards are acceptable. Open mare books are now closed and an “Appendix mare program” is now in effect. All above qualifying horses can be registered and certified with the KMSHA/SMHA. This policy has been noted and accepted by our genetic research associates. All Examiners should note that strict compliance to the regulations for breed registration and certification apply. An Appendix mare is a typical Mountain type horse who has a mountain horse or gaited horse ancestry and is approved as Appendix registered with certain breeding restrictions. Mares will be eligible to show at all sanctioned shows and any male or female offspring can be fully KMSHA/SMHA registered. In order to meet the requirements of registry, if the registered Appendix mare is bred, it must be to a Kentucky Mountain registered/certified stallion for their offspring to be registered. Fillies, young female’s up to the age 4, that meet the Breed Standard may apply for and obtain an “Appendix” Temporary Certificate of Registration (if not yet gait and breed Certified) even if one or both parents are not registered and certified KMSHA/SMHA. See Schedule of Fees “Appendix” Temporary Registration. Mares, 2 years old and older, that meet the Breed Standard and have completed gait and breed Certification may apply for and obtain an “Appendix” Permanent Certificate of Registration if one or both parents are not registered and certified KMSHA/SMHA. For more information contact the KMSHA office if necessary by phone at 859-225-KMSH (5674) or e-mail at office@kmsha.com. To Register/Certify a horse, you must be a KMSHA/SMHA member in good standing. Click here for information on becoming a member. Five pictures (front, left & right sides, rear, under the chin). Either the signatures of two KMSHA/SMHA examiners (link to examiner's directory), or a video tape showing your horse gaiting (for specific instructions, please refer to our video guidelines). Mares, including Appendix Mares and Stallions must have DNA on file before being certified. Click for DNA kit information. Tail hairs for the DNA can be sent in at the time of certification with the fee. We will need 15-20 hairs placed in an envelope and attached to your paperwork, we will send them to UK for you. Geldings, the Foundation Gelding books for the KMSHA are still open and therefore Geldings with one KMSHA parent or a select gaited horse parent who meet the KMSHA/SMHA Breed Standards, can still be registered and certified with the KMSHA/SMHA. Certification in the case of geldings allows them to be shown in the KMSHA/SMHA Official Show circuit each season, as well as receiving a gold seal on their registration papers that qualifies them as having met the KMSHA/SMHA Breed Standards. Certified Geldings must have DNA on record. All fees should accompany the paperwork. See Schedule of Fees for the details. Permanent Registration: All KMSHA and SMHA Horses 4 years old and older must be certified. Have two examiners (link to the examiner's directory) sign the Temporary Certificate of Registration near the bottom left, or submit a video tape (for specific instructions, please refer to our video guidelines) to the KMSHA office. If a stallion or a mare, they must have DNA typing on file with us. Submit five pictures (front, left & right sides, rear, under the chin). Enclose the appropriate fee. See Schedule of Fees for the details. 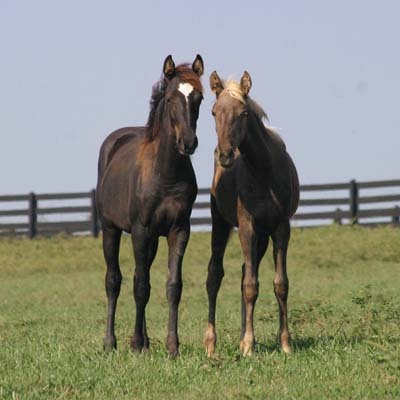 REGISTRATION OF FOUNDATION FOALS - Temporary Papers Foals may be registered with the KMSHA/SMHA provided both parents are Registered with KMSHA/SMHA or with another Mountain Horse breed. All foals will be issued "temporary" papers. They will be required to submit DNA for parentage verification, and must be gait and breed certified under saddle before "permanent" papers will be issued (usually after 2 years of age). Note: Temporary Registration Certificate expires on the horse’s 4th birthday. One copy of Breeder's certificate. Breeder's certificate. DNA - You will need to submit a DNA sample along with your Application for Registration. All foals must be able to verify parentage by having DNA sample on record with the KMSHA and SMHA before a temporary certificate of registration will be issued. If you have a copy of DNA from another registry, please send us a copy. If you do not, please pull 15-20 tail hairs (making sure the bulb is on the end) and include them with your Application for Registration. The fee for the DNA test is $45.00. If your DNA is from a lab other than the University of Kentucky, there will be a $25.00 fee to put it on file with UK. If your farm uses blood typing, please contact the KMSHA office for more information. Permanent Registration: Starting in 2012, all 4 year old* and older KMSHA/SMHA horses must be gait and breed Certified or their Temporary Registration Certificate will expire and the owner will have to completely re-register the horse. Horses born prior to December 31, 2011 will still need to be certified and may do so without penalty until December 31, 2012. All KMSHA and SMHA Horses must be certified before their foals can be registered. If the registration papers have expired on any horse due to this directive, new papers will be issued only upon completion of official Certification of each horse. This applies to all Stallions, Mares and Geldings that must certify that they have met the gait and Breed Standard. TRANSFER OF OWNERSHIP To transfer a horse, you must be a KMSHA/SMHA member in good standing. Click here for information on becoming a member. You simply complete one of the transfer blocks on the back of the original certificate. The previous owner will need to sign the back of the certificate and you will need to fill in your information. If your new horse is 4 years old or older and does not have a gold seal on the front of their papers please call the office for information on how to get them gait and breed certified. NAME CHANGE A name can only be changed if the horse has never been shown and does not have any offspring. Owner must send in letter stating that and include information about the horse with the new name. The cost is $60.